Forget the carving knife and say goodbye to those slimy insides. Grab a wig instead! This Halloween it’s all about painting, bedazzling and even dressing up your pumpkin -- with among other things, facial hair. 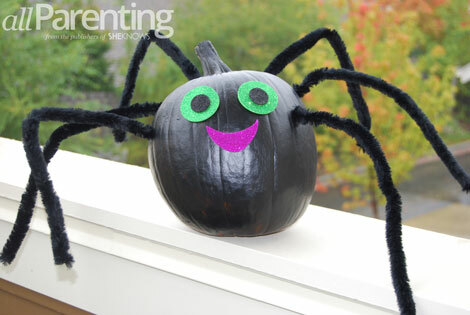 You and your kids will have a blast not carving a jack-o'-lantern but giving your pumpkin personality-plus instead. This Halloween, why not try a new pumpkin decorating approach? One that will make Mom and the kids happy. Think pumpkin decorating you can actually live with. Your kids don't have to be the only ones wearing costumes this year. Your fat little orange friend can make quite a transformation too. 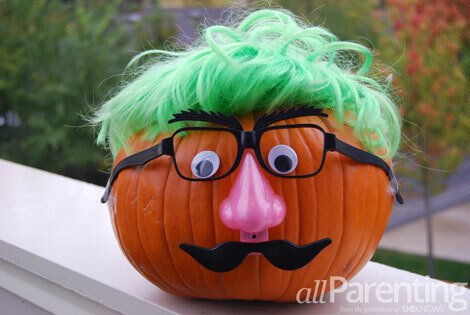 You can either buy a pumpkin decorating kit at your local store or DIY it, but either way, your pumpkin will be the envy of the block when you and the kids get done with him. It started out as a regular ol' pumpkin and after a quick paint job and the application of a few decals and pipe cleaners, it became a spider. This pumpkin was made from an inexpensive kit that can be purchased at any major retailer and included everything needed to transform it. You can sit him outside or inside, whatever works with your Halloween decor. 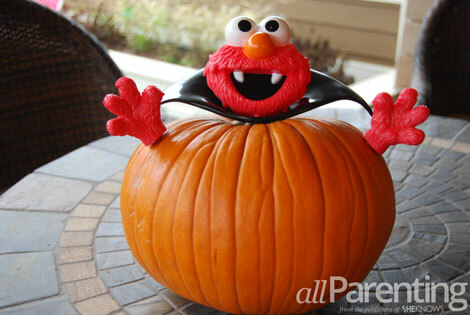 What little kid won't love a pumpkin that looks like Elmo or takes on the shape of a dinosaur? In just a matter of minutes, again with a simple kit, you and your child can take a basic pumpkin and turn it into Sesame Street's most loveable character or an adorable green and yellow prehistoric animal. You can even let your child keep this one in his room. You can really have some fun with your pumpkin by digging into your costume bin or in the kids' dress-up clothes and coming up with your own pumpkin costume creation. From a wig to a mustache to glasses and a fake nose, the sky's the limit. Best part? He won't look like any other pumpkin on the block.